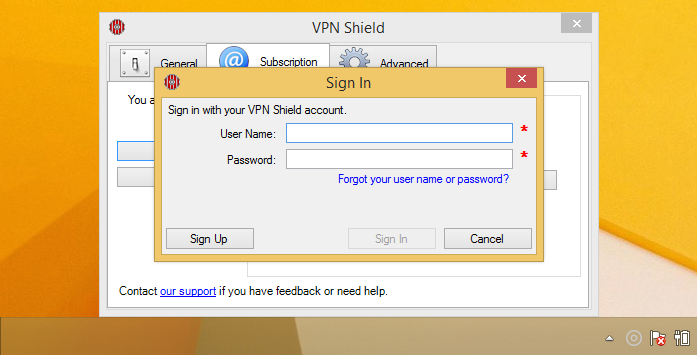 After you've bought a subscription, installed VPN Shield desktop app - you can start using VPN service. Run VPN Shield app, click on gray icon in the task-bar -> VPN Shield main menu will open. 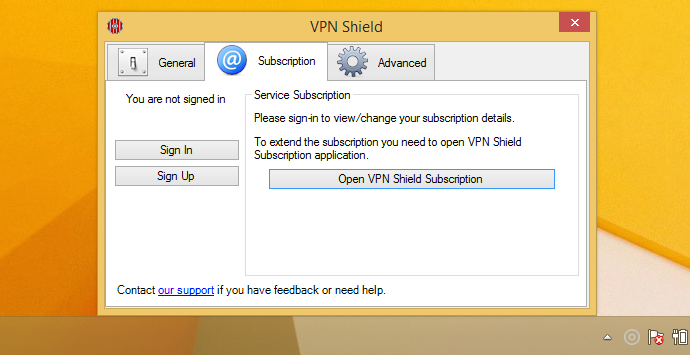 Click on "Open VPN Shield Preferences..." or "Please sign-in..." text -> VPN Shield Preferences modal window will open. 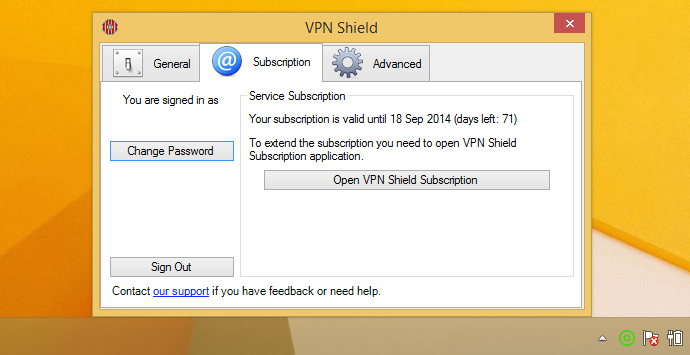 Click on "Sign In" button on the Subscription tab and enter VPN Shield login/password. When you logged into VPN Shield app -> "circle" icon changes color to green. On the Subscription tab you can see subscription information for your account. To connect to VPN service you need to click on the "green circle" icon on the Taskbar and select country to connect. Done, green spot in green circle appears. VPN Shield is connected and protecting your privacy during surfing the internet.